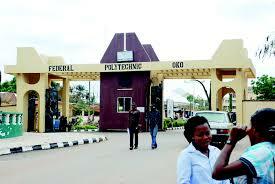 The Federal Polytechnic, Oko Matriculation Ceremony Date for all Newly Admitted ND1 and HND 1 Students for the 2017/2018 Academic Session Announced. This is to inform all newly admitted students of the Federal Polytechnic, Oko that the Matriculation Ceremony for the 2017/2018 academic session has been announced. All Freshers are hereby informed that the Oko Poly Matriculation Ceremony for the 2017/2018 academic session is scheduled to hold on Tuesday 10th April, 2018. All Freshers are advised to proceed to their various faculty head for further information on the upcoming matriculation ceremony.